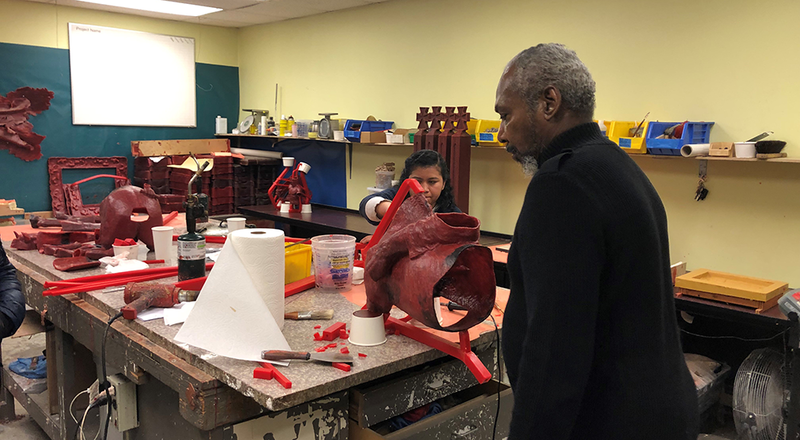 On Friday, March 29, Yesler artist, Charles Parrish and Seattle Housing Authority staff observed the bronze casting of his artwork at Seattle Art and Industrial, a foundry specializing in producing three dimensional products for artists. Charles Parrish holds a self-portrait of himself. Through a generous grant from The Kresge Foundation, SHA has engaged multiple artists and artist teams to create permanent works of art and develop arts-focused programming at Yesler. In 2016, SHA commissioned Parrish, a long-term Yesler resident, to develop public art. Parrish visits the wax room at Seattle Art and Industrial where an employee makes finishing touches to a wax casting. A stone sculptor with a focus on portraiture, Parrish creates portraits in low relief and three dimensional forms and frequently chooses black historical figures as his subjects. Parrish observes the bronze casting of his artwork at Seattle Art and Industrial. 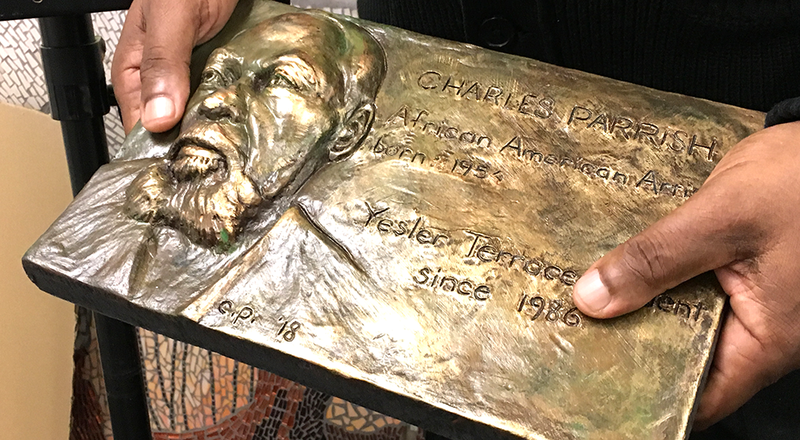 Parrish presented his artwork and ideas at Yesler community events and council meetings. 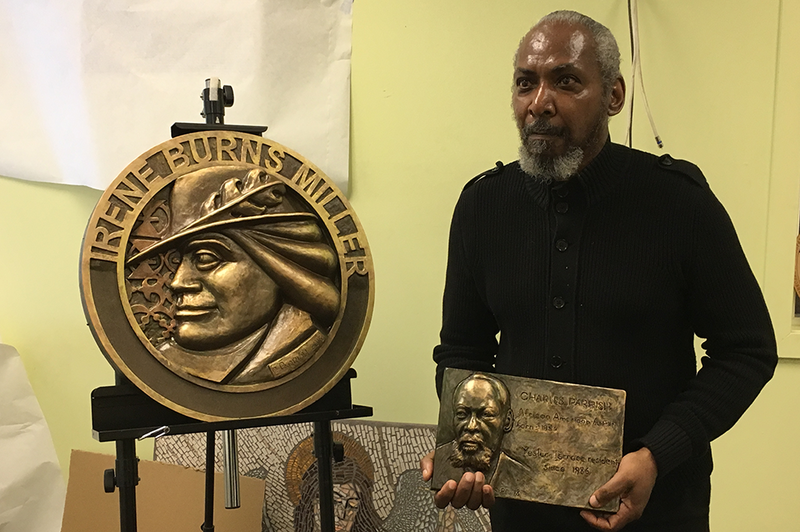 Residents responded positively to his work and expressed pride at having one of their fellow neighbors contribute art that would reflect on the community’s identity and honor the past. 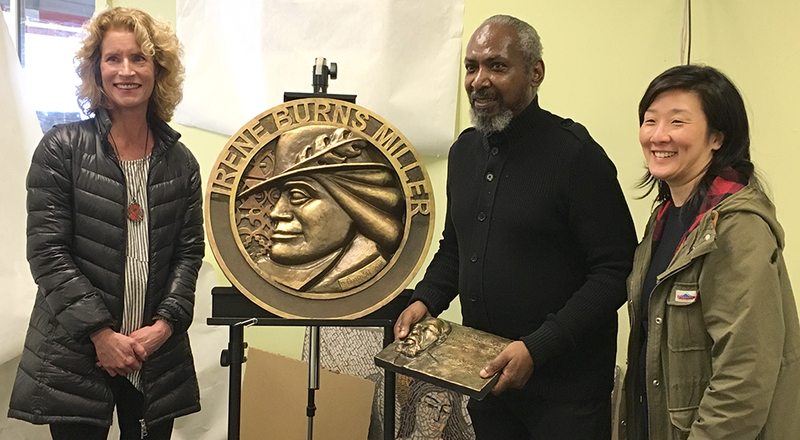 Parrish created a series of bronze medallions of four historical Yesler Terrace figures, Henry Yesler, Jesse Epstein, Irene Burns Miller and Arthur B. Langlie, honoring their legacy in the community’s new landscape. The medallions are hollow bronze, 24 inches in diameter and will be installed at Yesler.